Laiq Khan, one of the relatives, confirmed that his “four relatives, one uncle and his three sons” had visited someone returning from Hajj in the Achin district, and the gathering of civilians came under attack. “They [US forces] spread lies to cover their wrongs and civilian deaths”, said Laiq to ArmedPolitics. “I buried the victims, and none of them were Taliban or Islamic State fighters”. United Nations Assistance Mission in Afghanistan condemned the strike in a statement received by ArmedPolitics. “UNAMA condemns the killing of at least 15 civilian men. and the injuring of at least 13 others, including at least one boy, in the strike”, read the UNAMA statement. 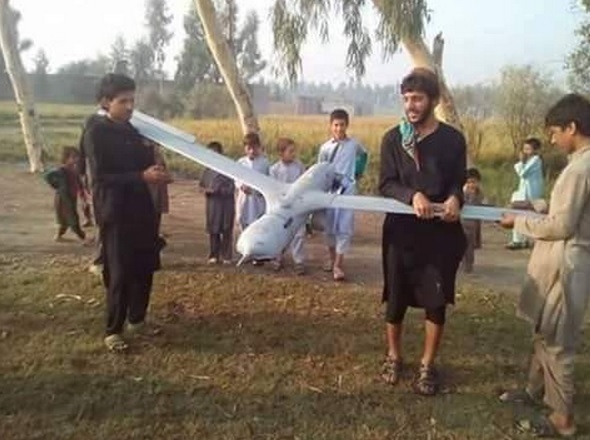 “In the early morning of 28 September, an international military forces unmanned aerial vehicle conducted an airstrike, reportedly targeting members of ISIL/Daesh, that struck a civilian home, killing the 15 civilians”. “The civilians had gathered in a village to celebrate the return of a tribal elder from the Hajj pilgrimage to Mecca, and were reportedly sleeping in a guesthouse of the elder when the airstrike occurred. Civilian victims of the strike included students and a teacher, as well as members of families considered to be pro-Government. Government sources report that ISIL/Daesh personnel also died in the attack”, adds the UNAMA statement. The American Forces spokesman has also released their statement on the incident right after the attack. “We won’t discuss the details of the specific counter-terrorism operation conducted in Nangarhar on 28 September, because we are still reviewing all materials related to the strike”, reads a statement released earlier by the U.S. Forces- Afghanistan on civilian casualties in Nangarhar. Afghanistan’s Defense Ministry also named the victims of Achin district as “20 Daesh [Islamic State] fighters killed in combined operations”. One of the Afghan Security Officials asking for anonymity, told ArmedPolitics that such mistakes take place owing to the unprofessional individuals among the Afghan National Security Forces. Earlier a Taliban prison came under the US air attack killed 22 Afghan National Security Forces who were arrested by the militants. Later, the US officials in Kabul denied targeting Taliban prison, whereas Afghan Media reported the injured ANSF members that were carried to hospitals in Helmand were the victims of the US strike.